I’ve been very fortunate to have been able to attend two very amazing festivals recently. The previous festival I posted about was T in the Park which was absolutely incredible and was held not eh weekend before last. 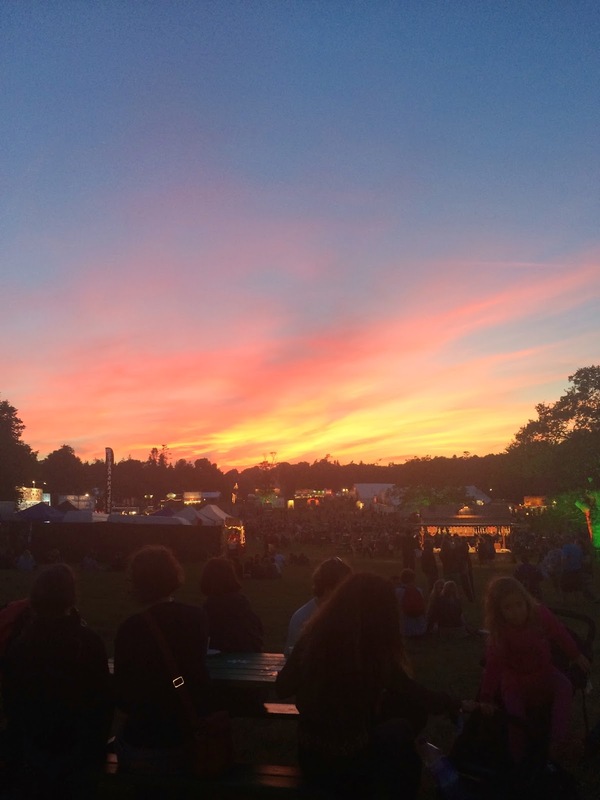 This weekend just gone I was at the lovely Latitude festival. For those of you who don’t know much about Latitude it claims to be “More Than Just A Music Festival” which is exceptionally true as it also features comedy, literature, cabaret, theatre, poetry etc. 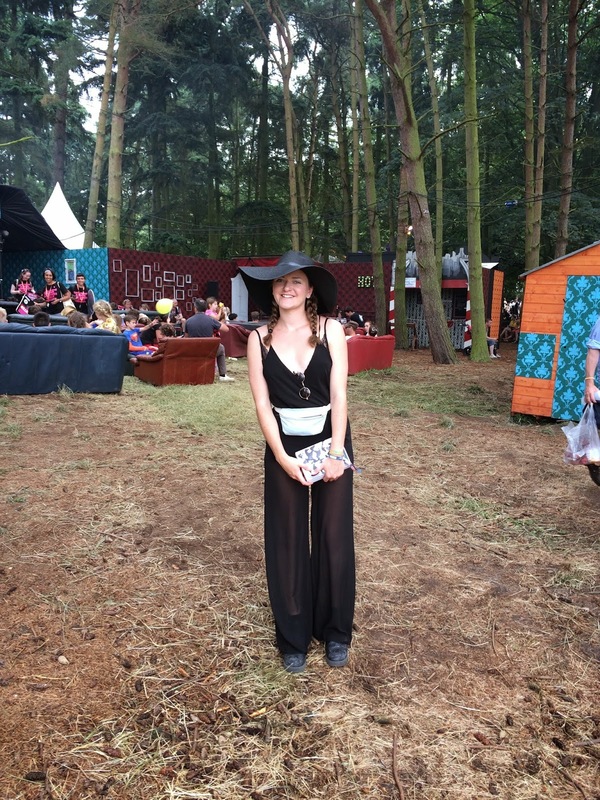 One of the things I really loved about Latitude Festival was it’s location. It it held in Henham park which is a stunning park full of woodland located in Suffolk. 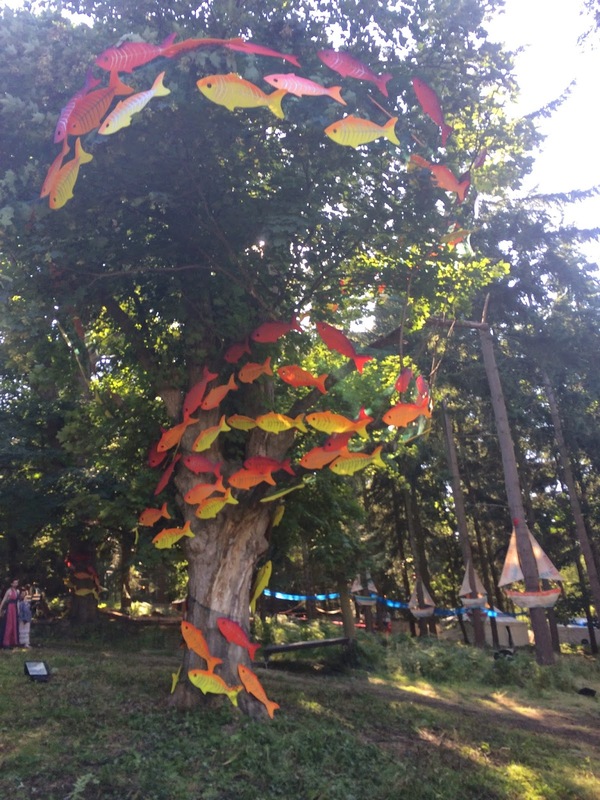 The forest has all sorts of things in it such as several music stages, a piano bar, cafe’s, a Greenpeace charity tent where you can do all sorts of activities etc. Out of all the festivals I have been to it is definitely the most picturesque and well set out. Not only that but the site also has a Kids area which I think is absolutely fantastic as the festival is so family friendly it ensures that children always have something to do and to look forward to. I really loved watching all of the music acts at Latitude but it just could;t quite top T in the Park which had an absolutely amazing line up. 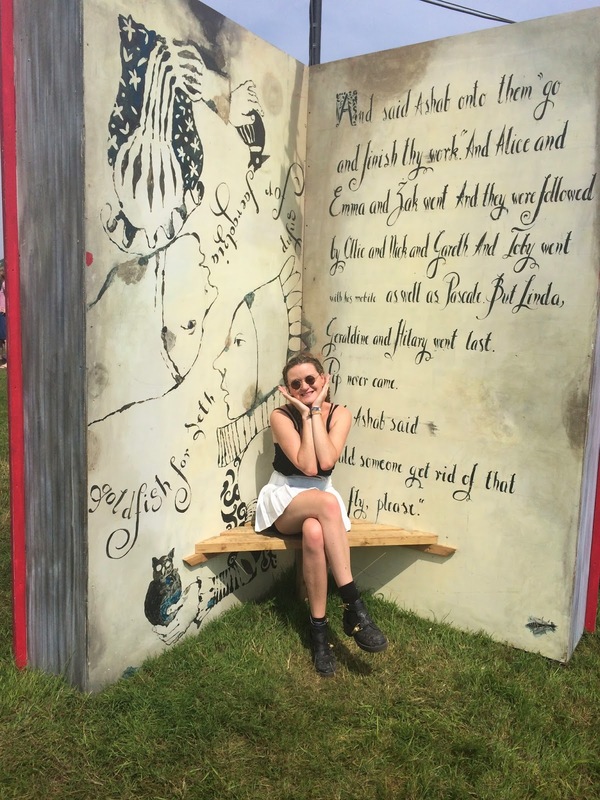 But what did make Latitude great was the authors and activists I heard talk over the weekend. Pictured above is the amazing author Jon Ronson who has written The Psychopath Test, Frank, Men Who Stare At Goats etc. It was really lovely to hear Ronson talk about his work in a very intimate and friendly environment. Plus the little space where he gave his talk was giving away free books which in my eyes made the festival fab. Living The Dream was perhaps my favourite part about the festival. It’s absolutely tiny and has nothing really spectacular about it. But it featured several authors throughout the weekend who read and answered questions about their work. This is also where you receive your free books, incred. Another plus side to Latitude is the amount of things you can do and see there. Pictured three photos above is my friend Sam learning how to knit (he is now obsessed). Also the woodland featured several blank canvases on the Thursday night and by the Sunday evening they were full of absolutely breathtaking paintings like the ones featured above. My absolute favourites tare the paintings of the tribes people by Dale Grimshaw, his work is amazing and definitely worth taking a look at. 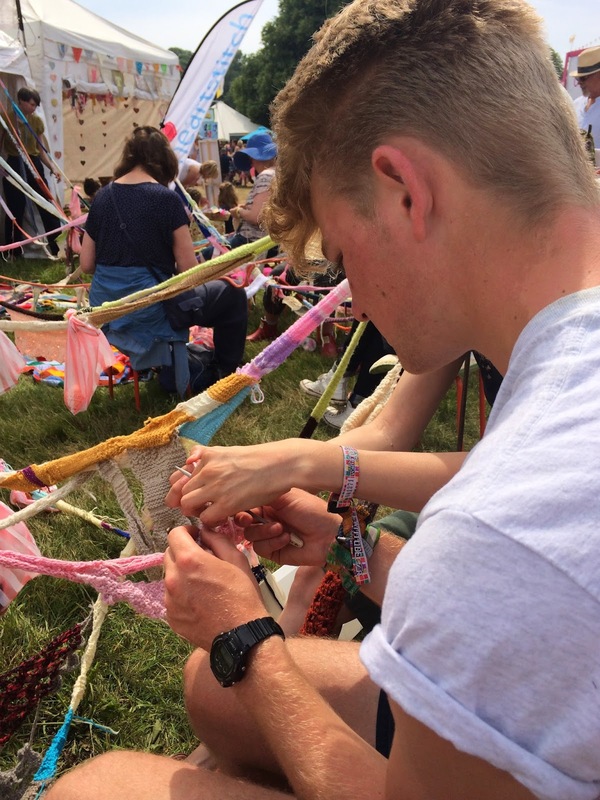 It was these small things that made Latitude absolutely fantastic for me. Whilst the music at Latitude was good (Bombay Bicycle Club, Lily Allen, Haim, Clean Bandit, Lykke Li etc) it just paled in comparison to T in the Park who never fails to get a line up wrong. Whilst overall I enjoyed my time at Latitude I did think that £250 was a lot to pay for a music line up that is perhaps one of the worst of Summer 2014. I’m very glad that Latitude has lots of other things to do and people to see otherwise i would have felt extremely cheated of my money. I heard about this festival a while ago and wondered what it was like! I love the photos you've put together, seems like you had a lovely time – I also love your jumpsuit too!